We will give you another round. 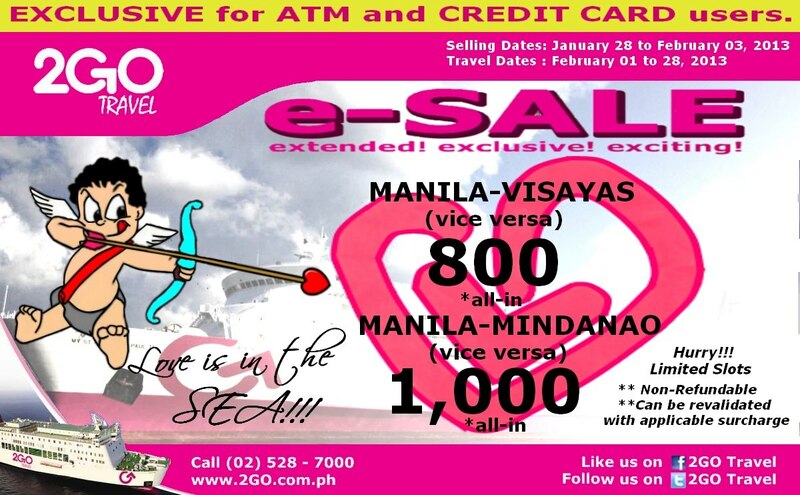 GRAB our E-SALE promo extended until Feb. 3, 2013. LOVE is in the SEA!! The sweetest promo offered by 2GO Travel this Valentines Day! The most romantic getaway that will make your loved one stay!